Ask anyone to think of an iconic Aston Martin prior to the modern period and it's likely the DB5 will spring to mind. We have Mr Bond to thank for that. But the earlier DB4 was arguably the prettier car - part of the reason why the manufacturer is now busy worshipping it as a design icon - its elegant lines the work of Carrozzeria Touring Superleggera in Milan, a coachbuilder who can justly be said to have got it right at their first attempt. 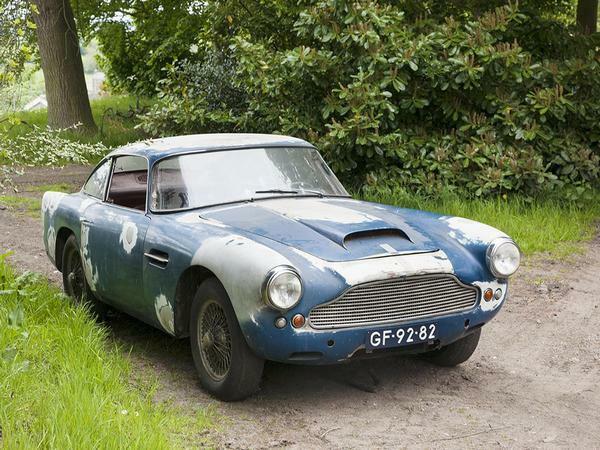 The DB4 wasn't always going to look like this, though. The earliest designs were penned in Newport Pagnell and a prototype was built. But John Wyer and David Brown were unsatisfied with the 1956 car's shape, so they canned it and sought help from some of Italy's most respected designers. It wasn't until after several meetings with prospective partners that Touring was asked to craft a glamorous silhouette to mount on Aston's new architecture. The base was a platform chassis (think of it as the bottom half of a modern monocoque) to which metal tubes were fixed to provide the body with a skeleton, with additional space for a straight six up front to send drive rearwards. The engine itself was new and of 3.67-litre double overhead cam format wearing an aluminium head, delivering up to 240hp at 5,000rpm. The powertrain was developed using Aston's extensive motorsport experience, which included racing the DB3S at Le Mans and, in 1959, winning the French endurance race with the DBR1 - which took the top two positions ahead of Ferrari's 250 GT racers. Aston's use of inline six cylinders motors meant that their silky tone became synonymous with the winged badge. 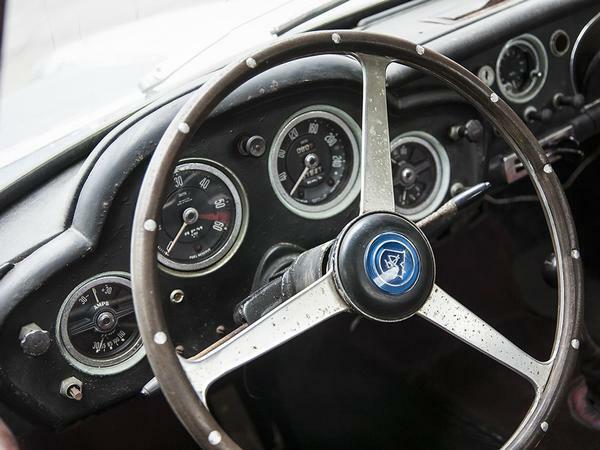 The layout was the natural choice for the DB4, but as a grand tourer, the demands of the hardware were quite different. It needed to be comfortable and usable on the road, but also quick. With a 0-60mph time of 9.3 seconds and top speed of just under 140mph, it was really rather potent for the day. 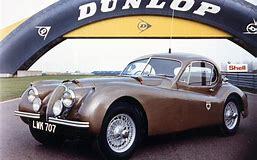 The agility provided by independent front suspension that incorporated ball-joint wishbones and rack-and-pinion steering also ensured that it would rank as one of the most enjoyable cars to drive in the segment, providing Aston Martin with a credible answer to the Italians. But it wasn't until the arrival of the GT in 1959 that the DB4 base was pushed close to its performance limits. The straight six now featured two sparkplugs per cylinder and three twin-choke Weber carburettors, plus compression was raised to bring maximum power to 302hp - a respectable figure for a naturally-aspirated six even today. It was effective, as PH knows after a go in a '21st century' DB4 Continuation last year, which came with even more power thanks to its 4.1 litres and 340hp. True to the original, this was a car to be steered on the throttle like all the best classic sports machines. Some consider the GT Zagato as the most impressive DB4 of them all. This aluminium-bodied version of the GT wore a modified and lightened skin, as well as swept-back headlamp covers and an even tighter roofline, all in the name of aerodynamics. The resulting saving in weight and slipperier shape helped the Zagato sprint from 60mph in about six seconds and extended the top speed to 154mph. Just 20 cars were produced, two of which competed at the 1960 Le Mans, although both retired. But the car's achingly gorgeous looks sealed it with a legendary status. The DB4 lineage is not without its moments in history, then. 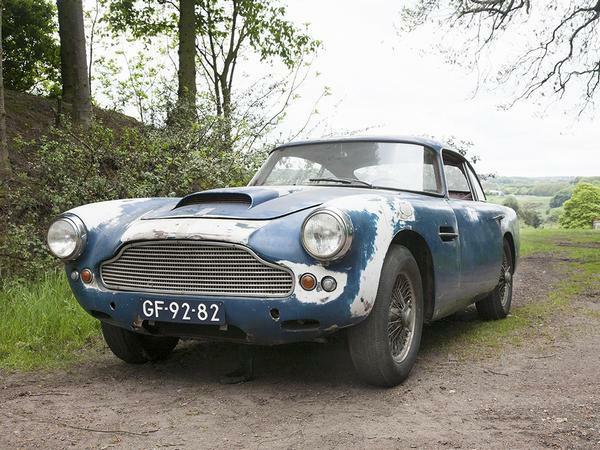 Which makes only the fifth DB4 ever made quite a find. The earliest Touring-bodied DB4s were produced in 1958 (and were the first cars to be produced at Aston's Newport Pagnell works) meaning that this car probably shared floorspace in the workshop with the famous London motor show original. It claims to be the first left-hand drive model ever, so it's really rather special in its own right. Up till 1980, the car lived an appropriately cherished existence, having been regularly returned to Aston Martin for servicing before it was bought and dry stored by a collector on the continent. It remained in stasis for 35 years, only returning to the sunlight recently in search of a little TLC. 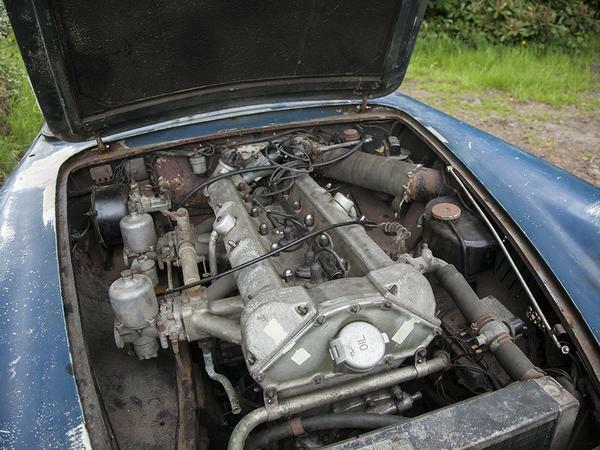 This original car's Atlantic Blue paintwork suggests that things might not be as they should underneath; the dealer says the car will need chassis restoration and an engine rebuild before it can be returned to the tarmac. But, according to this specialist, this is one of the "most restorable" cars out there. For someone handy with a spanner - or with very, very deep pockets and access to a state-of-the-art workshop - this 'project' could be yours for just under half a million quid. Although we'd hedge that it's more likely the car's eventual buyer will opt for the dealer offer of full restoration, in which case you can add £200k or more to that list price. While the underside will need work, wouldn't it be lovely to see the original paintwork retained with all that patina somehow protected? The brown (or apparently formerly red) leather interior doesn't look like it'd need much work either. Certainly the car you'll end up with at the end of such a painstaking process will be no less special than the 'new' models that Aston Martin itself has opted to build. And, given its provenance, no less exclusive than the DBS GT Zagato which is just about to take its place in the firm's annals. Beautiful car, but I think the paintwork has possibly gone a bit too far for its patina to be preserved (especially if chassis and mechanical work is also required). I remember seeing a DB2 at an AM Owners' Club meeting at Snetterton years ago, similarly patinated but apparently fit as a flea mechanically and wearing its battle scars with utter dignity. +1 - if it was more or less blue all over but faded/scratched then OK, but it's a bit of a patchwork quilt to be preserved IMO. Interior different matter, looks like that would respond well to some sympathetic renovation and cleaning. The exterior was nowhere near perfect; the interior was really tired. However, all the bits you couldn't see were wonderful. To have given it a full restoration would have been so wrong.